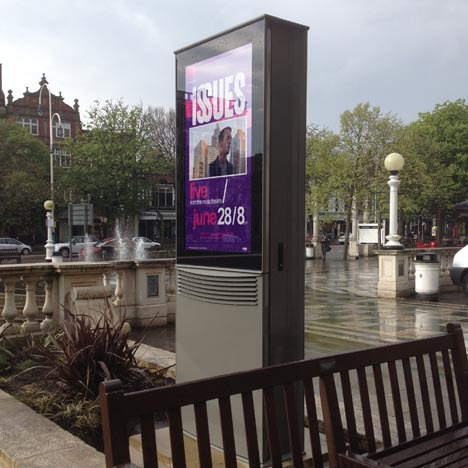 DynaScan produce the worlds brightest LCD monitors which are perfect for outdoor and direct sunlight viewing. As well as being high brightness these monitors are 24/7, fully colour calibrated to 6500k, with an incredible contrast ratio to produce stunningly vivid images in all applications. Since 1998, DynaScan Technology has been an industry leader in cutting-edge LED display solutions. 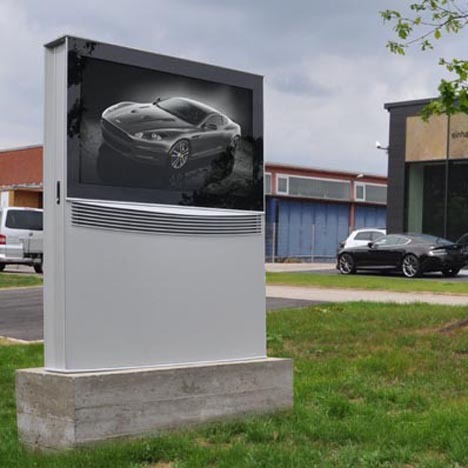 DynaScan’s digital signage products have been installed in locations around the world for use in advertising, public information and entertainment. Drawing on its knowledge of LED optics and applying it to LCDs, DynaScan has created a line of displays which are not only brighter, but the least expensive high bright LCD solutions on the market. DynaScan DS² High Bright LCDs are visible in direct sunlight with brightness ratings as high as 7,000 nits, and include a unique fanless thermal management system. Available in open frame, narrow bezel and ready-to-install models, DynaScan has solutions to fit both end users and system integrators alike. These screens provide the perfect daylight viewable monitor for use in windows, lobbies, sports arenas etc. Why choose a DynaScan monitor for your application? DynaScan has applied its LED expertise to create a collection of ultra-high brightness LCDs with maximum brightness ratings up to 7,000 cd/m². which can easily be viewed in direct sunlight such as store front windows or outdoor enclosures. The display features a local dimming LED back light technique for a remarkably high contrast picture as high as 1,000,000:1 (dynamic). With direct local dimming, darker areas of an image receive less backlighting than lighter areas, as opposed to CCFL and edge-lit LED backlights which illuminate an entire screen at all times causing blacks and dark areas to appear washed out. 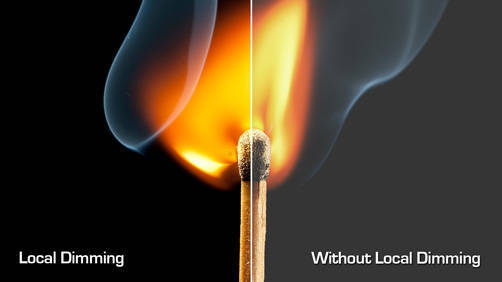 LED back lighting is both more energy efficient and provides a much brighter image than traditional CCFL backlights. Due to the compact nature of LEDs, displays are also typically thinner. 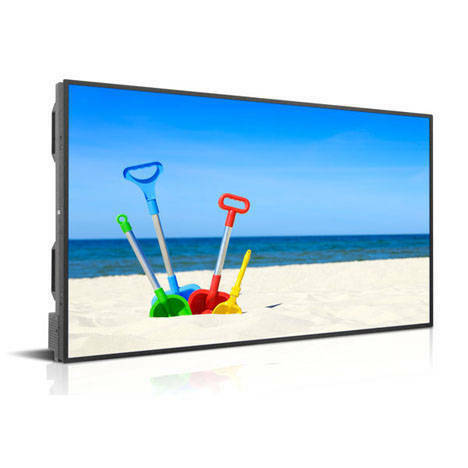 DynaScan’s DS² line of LCDs utilize a proprietary system of LED backlighting which is not only more energy efficient than traditional CCFL backlights, it is also considerably brighter. DynaScan has applied its LED expertise to create a collection of ultra-high brightness LCDs which can easily be viewed in direct sunlight such as store-front windows or outdoor enclosures. The display features a local dimming LED back light technique for a remarkably high contrast picture as high as 1,000,000:1 (dynamic). With direct local dimming, darker areas of an image receive less backlighting than lighter areas, as opposed to CCFL and edge-lit LED backlights which illuminate an entire screen at all times causing blacks and dark areas to appear washed out. DynaScan High Bright Professional LCDs come equipped to display both D55 (5500 K) and D65 (6500 K) CIE colour standards right out of the box, a feature lacking from many of the large format commercial LCD’s currently on the market. 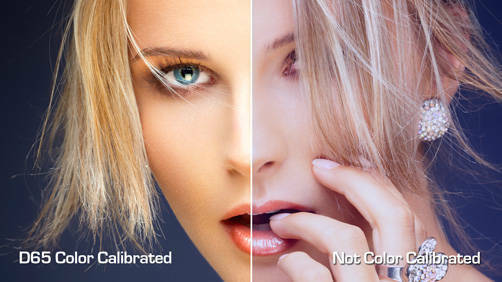 As many displays have a tendency to be rather cool or “bluish”, these colour settings produce a very natural looking image which has a correlated colour temperature to that of daylight. 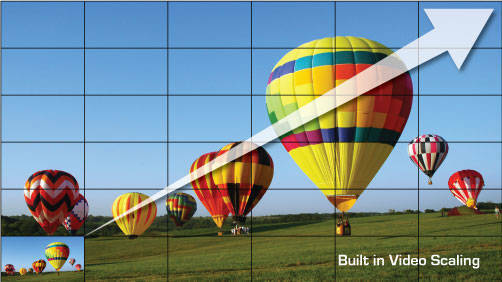 Ensuring the colour and brightness of each screen in a tiled matrix matches can be time consuming and requires additional calibration hardware. Each DynaScan screen is individually colour calibrated to the D65 (6500K) CIE colour standard. Not only does this produce a true, natural white, the colour of all screens will be uniform. 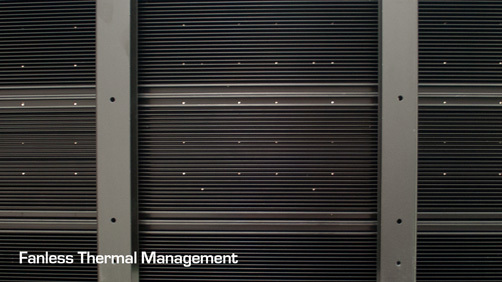 Most residential and commercial screens will blacken or result in isotropic failure when the LCD panel overheats. The DynaScan range is equipped with high temperature LCD panels capable of withstanding temperatures up to 110˚C (230°F) without blackening – crucial for direct sunlight applications. To increase performance and prolong the lifespan of the display DynaScan utilizes a proprietary fanless thermal management system. Heat generated by the display is radiated away from high temperature areas while a sensor continuously monitors the internal temperature to protect the system from overheating. All of this is done without the use of any fans, resulting in silent operation and greatly reducing the potential of mechanical failure. This is especially beneficial in areas with a lot of dust which can eventually obstruct a vent and cause the display to overheat. Fanless cooling is not available on all models in the range. 2nd generation screens, 5,000 & 7,000 cd/m² models and ultra-slim bezel screens have additional active cooling solutions installed. 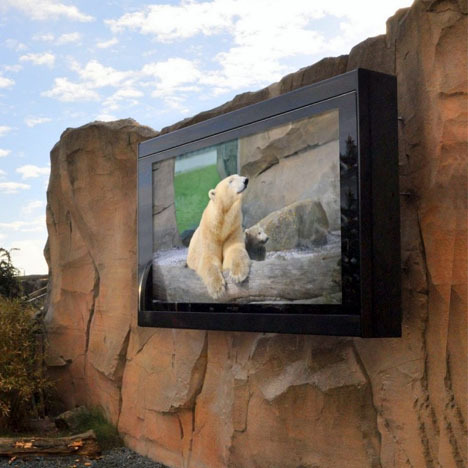 DynaScan screens are built to be used in a tiled matrix video wall without any additional hardware requirements. All the screens support image scaling across a 6 x 6 (15 x 15 on some models) wall. Easily configured via the management software you can have a high brightness video wall up and running in minutes. Most models in the range have a slim bezel relative to the screen size. 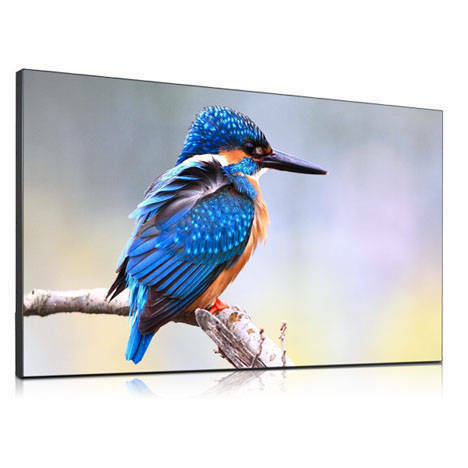 DynaScan also have a range of ultra slim bezel models specifically for video walls to produce a minimal bezel between screens. 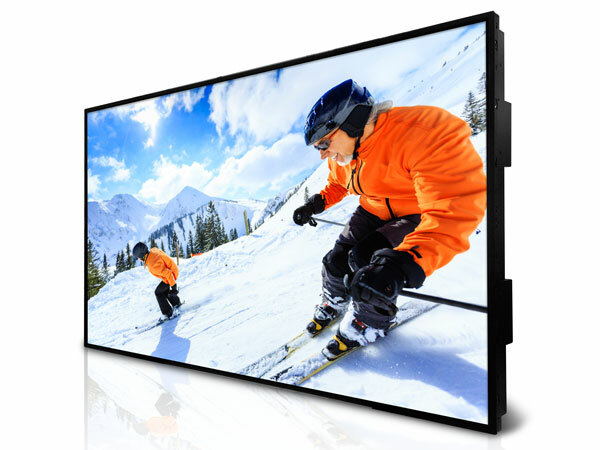 If you are looking for a zero bezel video wall solution then the new 84″ Ultra HD (Quad Full HD) DS841LR4 can be used as a single panel 2×2 42″ video wall with absolutely no border between the screens. 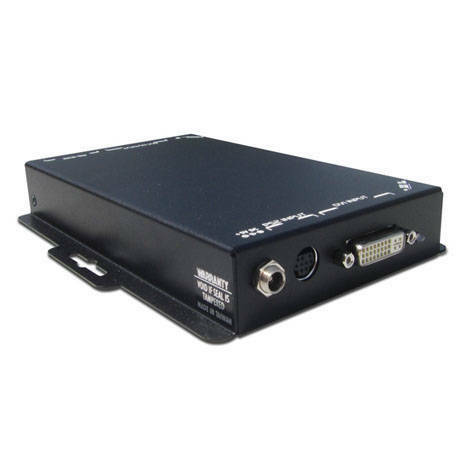 Why buy your DynaScan monitors from us?